Microsoft CEO Satya Nadella says that underwater server farms are part of the company's plans for future data centers. 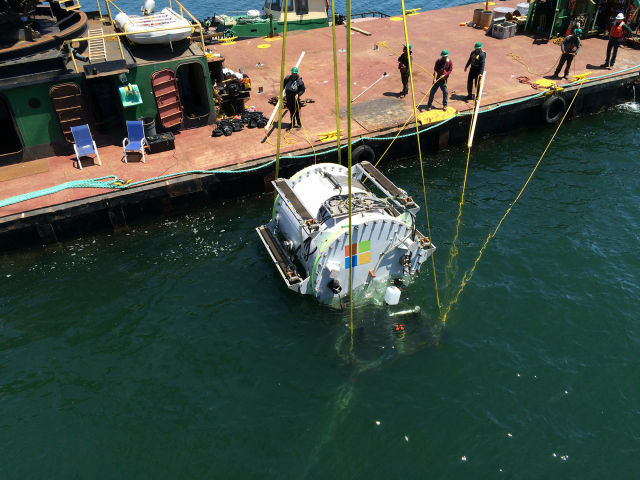 Microsoft has been experimenting with underwater servers for some time. Project Natick put a server pod underwater off the coast of California in 2016. Naturally enough, the pod uses water cooling, dumping waste heat into the ocean around it. It's designed as a sealed unit, deployed for five years before being brought back up to the surface and replaced. Since then, Microsoft has deployed a larger pod off the coast of Scotland. Speaking at the company's Future Decoded conference in London, Nadella said that undersea deployments are "the way [Microsoft] will think about data center regions and expansion." He cites proximity to humans as a particular advantage: about 50 percent of the world's population lives within 120 miles of a coast. Putting servers in the ocean means that they can be near population centers, which in turn ensures lower latencies. Low latencies are particularly important for real-time services, including Microsoft's forthcoming Xcloud game streaming service.